A username and password are required and can be obtained by emailing bacchus@cremeglobal.com. This tool has been made available to the SMEs and other interested stakeholders to query compound intakes. Intake statistics of bioactive compounds from selected foods can be analysed via this tool. Intakes are represented for the average consumer (mean) and high consumers (P95), minimum and maximum intakes. The results of the assessments may be used to support health claim applications. 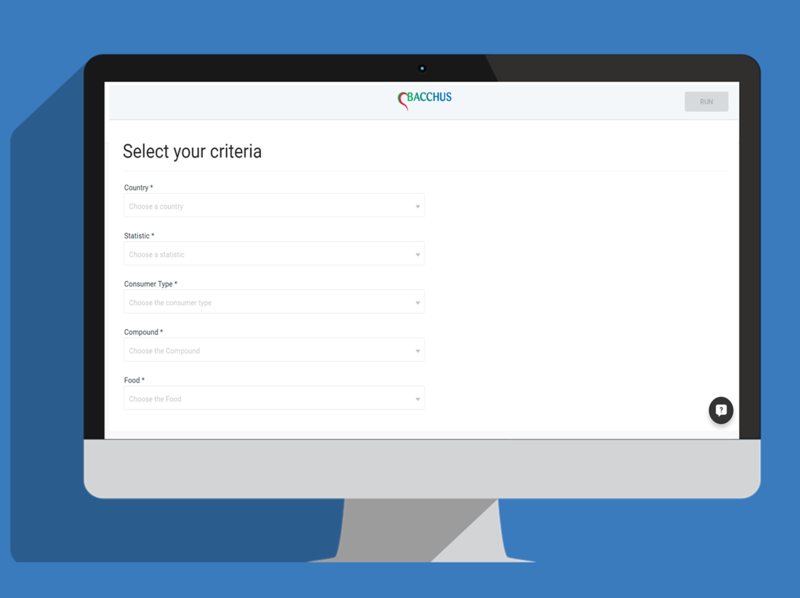 A new interface linking the eBASIS bioactives database and the Creme Nutrition® model has been developed for the BACCHUS project. 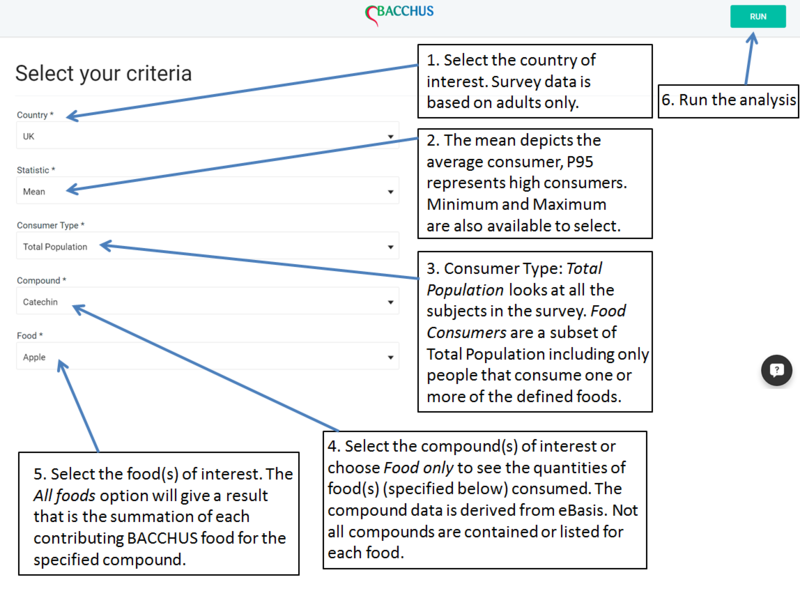 The tool can be used to assess current intakes of polyphenols and bioactives in Europe using food consumption survey data from Norway, the UK, Ireland and Spain and bioactive data generated from eBASIS. The eBASIS-Creme Global exposure tool will enable SMEs to assess compound intakes from various foods across populations to inform whether the compound required to obtain the claimed effect can be reasonably consumed within a balanced diet. The foods consumed in the food consumption surveys and bioactive compound concentration data (flavonoids, polyphenols and bioactive peptides) were mapped to estimate the distribution of intakes in four countries. The concentration data from eBASIS has been analysed and formatted into discrete data distributions of concentrations for each food-compound pair, allowing for random sampling of concentrations with the Creme Nutrition® model. Results have been generated for the mean and the 95th percentile, describing high consumers within a population, for daily intakes (mg/d) of the eBASIS compounds from selected plant based foods. For further information please contact bacchus@cremeglobal.com.